No fashion show would be complete without photographers! There will be several at the Fashion Fights AIDS fashion show in San Francisco this Friday the 16th – Javier Padilla is just one of them. Javier Padilla is a professional photographer based in the San Francisco Bay Area, and shoots everything from album covers to weddings and anything else that falls in-between. About six weeks ago, while at the Visage Fashion Show, Javier met Leyina Chen, one of the producers for the Fashion Fights AIDS San Francisco fashion show, and when she asked him if he would like to be a part of the benefit show and help capture the event on film, Javier happily agreed. “With everyone’s hard work, capturing everyone’s involvement is very important. I will be shooting not only the show but behind the scenes too. You have to remember that the designers are backstage and don’t get to see the show from our point of view. 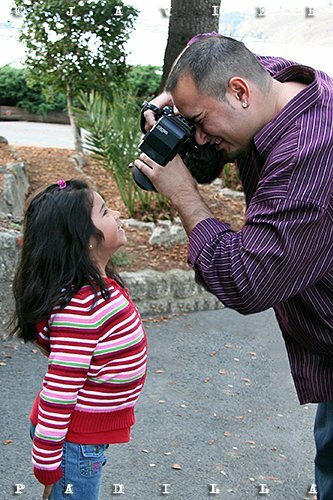 You can find Javier photographing a variety of fashion shows in the bay area. next post: Lindsay Lohan Enters Sober Living House. Still Has To Go To Jail. 53 queries in 1.818 seconds.